Campaigners are preparing to go into battle against military bosses over large tracts of common land in the north Pennines. The Ministry of Defence wants to end the registration of three upland areas as commons. The Open Spaces Society said the ministry has reneged on a pledge it made 16 years ago that the land, north-east of Appleby-in-Westmorland, would remain on the commons register. A public inquiry will be held this month to determine the argument. As well as the OSS, the Foundation for Common Land, the Cumbria Federation of Commons, the Friends of the Lake District and the Hilton Commoners are objecting to deregistration of the land on the Warcop estate, which is used for military training. 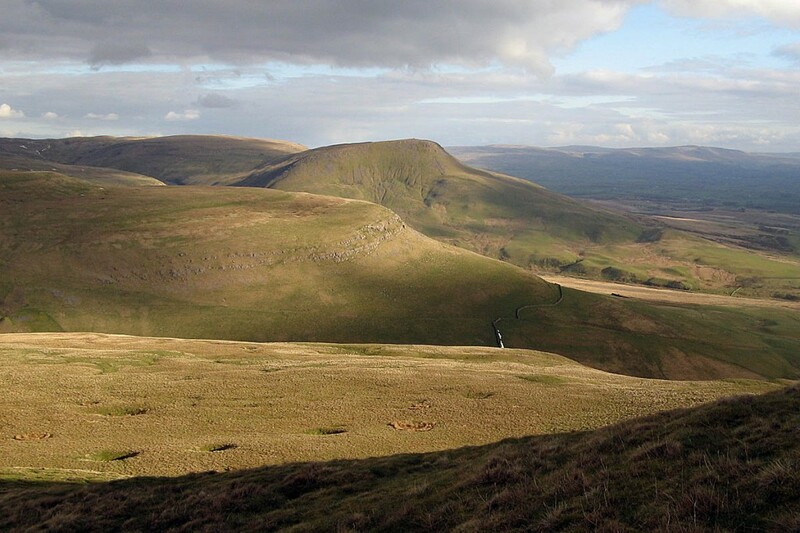 The OSS said deregistering Warcop, Hilton and Murton Fells would amount to ‘inclosure’, turning them into private land. From the 17th to early 20th century, Inclosure Acts were used to create property rights over land that was previously held in common by locals. The OSS said deregistering the Cumbrian commons would be the largest act of enclosure since the major acts of the 18th and 19th centuries and would amount to one per cent of the total common land in England. The Ministry of Defence said it needs to deregister the commons to allow the necessary military training. But the OSS said that in 2002 the commoners accepted the buy-out of their grazing rights by the MoD on the understanding that the ministry would leave the three fells on the common-land register. “Now MoD wants to cancel that undertaking without any mitigation,” it said. The society questioned the ministry’s motive in wanting to deregister the commons. Case officer Hugh Craddock said: “If MoD is true to its word that it does not intend to develop the commons, we cannot see why it wants to deregister them. “It is a pointless exercise which is extremely expensive for the public purse and for hard-pressed charities too, requiring a two-day public inquiry with legal representation. It has angered local people and national organisations and will achieve nothing. “The MoD says that registration of the land under the Commons Act 2006 is incompatible with training use. But its arguments are demonstrably false. “Parliament has expressly allowed for the Warcop training estate to be exempted from any requirement for consent to works on the commons. And concerns that a commons council for the Warcop commons could interfere with training activity are simply absurd: it will never happen. “For far too long the MoD has wasted taxpayers’ money while it messes around with the legal status of the Warcop commons, instead of getting on with managing them in the interests of all. “Yet of course we must fight this because it does open the door to encroachment on or development of the commons, to the detriment of the graziers and the public who enjoy rights of access there. “The commons are an important feature in the North Pennines [area of outstanding natural beauty] and should be protected at all cost. “We have a challenge for the MoD. Wait and see. “There is not the slightest evidence yet, 12 years after enactment, that the Commons Act 2006 is interfering with management of the Warcop training estate. The MoD should put up such evidence, or withdraw. Common land is land subject to rights of common, to graze animals or collect wood for instance, or waste land of the manor not subject to rights. The public has the right to walk on nearly all commons, and to ride on many. The public inquiry has been called by Cumbria County Council, the commons registration authority, and will be held on 13 and 14 September at Kendal County Hall. Tanks came to Warcop at beginning of World War Two, the army and sheep managed to operate side by side. So why now seventy years on do the MoD suddenly need exclusive use. Common Land existed for centuries, until greedy faceless corporations stole vast tracts. I thaught we had moved on to a more civilised society. lets do what our forefathers did , mass trespass, and refuse to pay our council tax, fix a date and everybody turn up.!!!!!!!!! Its a way of making theoretical money. They will then be able to add.the land value as a potential "asset"to the MoD's budget spreadsheet.